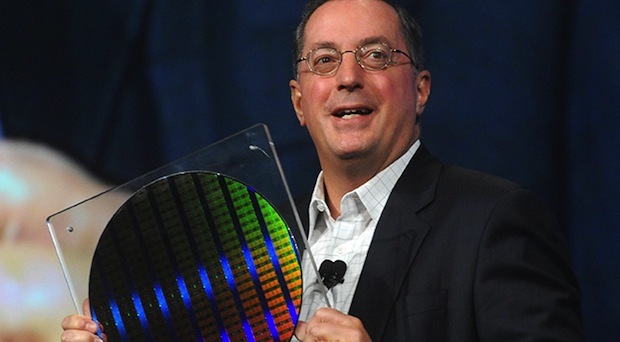 Paul Otellini, the former CEO of Intel, the world’s second largest chipmaker, died in his sleep the company announced Tuesday - he was ten days shy of 67 years old. His retirement from Intel in May 2013 capped nearly 40 years working at Intel. He was on the fast track early in his career as Technical Assistant to Andy Grove, CEO and Chairman, and then served in key leadership positions in Intel's business groups. Otellini was Intel’s fifth CEO but the first chief executive without a technical background — he held a Bachelor Degree in Economics for University of San Francisco. He was also the first Intel CEO to retire suddenly, leaving the board to scramble in a search for his successor. Intel's CEOs are forced to retire at 65 years old and then transition to a chairman role. There is always a planned succession but Otellini surprised the board with his early retirement And he did not serve as Chairman. He was replaced by Brian Krzanich - an executive with an engineering background. Krzanich said. "He was the relentless voice of the customer in a sea of engineers, and he taught us that we only win when we put the customer first." His legacy at Intel stands out in several ways. He had to layoff about 10,500 staff in 2006 -- the company's largest layoffs. He admits he missed the importance of the smart phone market where rival ARM scored major design wins. And several business initiatives had to be closed or scaled back including the Itanium microprocessor -- which cost billions of dollars to develop and support. Intel's $7.68 billion acquisition of McAfee security software firm in 2010 was spun out earlier this year into a joint venture with private investment fund TPG. Intel’s move back into the chip foundry business in which it makes custom chips has yet to show results in terms of clients and revenues. During Otellini’s tenure Intel continued its dominance as the world’s largest chipmaker. Earlier this year it lost the top spot to Samsung. Otellini was also a current member of Google's Board of Directors.